Therapies are not compulsory and are not included in the school fees. All our therapists are registered with the council and their fees can be claimed back through your medical aid. 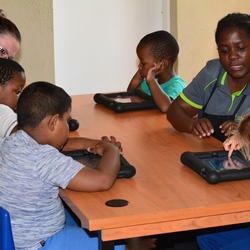 Amazing k provides remedial education and related services such as therapies to learners age 2 years to Grade 2. 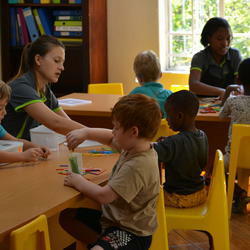 We offer small integrated classrooms with a very low teacher to child ratio. Evidence based instructional practices are implemented in an intensive, highly supportive environment that addresses the unique, educational and therapeutic needs of each child. Our philosophy is one of learning through both a structured curriculum as well as play. We pride ourselves on being a pre-and primary school that sees each pupil as an individual and not a diagnosis. We specialize in helping children with Pervasive Development Disorders, Autism Spectrum Disorder, Social (Pragmatic) Communication Disorder, ADD/ADHD, General Global Development Delays and Aspergers. 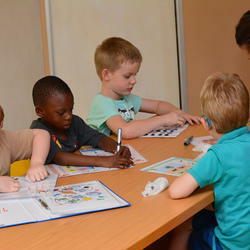 From 2019 we can accommodate learners up to Grade 2 level. Both our Pre-school and Primary school curriculum's have been adapted to take all learners and their individual barriers to learning into consideration. We focus fully on the children whether that child is a stronger tactile learner, auditory learner and/or a visual learner.